Tartu, also known as Dorpat, in German, and Yurev in Russian, is the second largest city and an old center of culture and learning of Estonia. There were very few Jews in Tartu before the middle years of the 19th century, when Estonia was already part of the Russian empire. The first place of worship for local Jews opened on Vathaus street only in 1872 and it was followed by a larger one located in a rented property near the local market. This second synagogue was opened in 1876 in the presence of all members of the Jewish community of Tartu. The impressive growth of the local community which by the end of the 19th century numbered more than 1,700 members, required the construction of an even larger synagogue. Building work on the new synagogue started in 1899 with a ceremony attended by leaders of the Jewish community, local non-Jewish notables, and representatives of the city authorities. The establishment of this new synagogue was made possible by donations collected from amongst all members of the community for a number of years by Bedek Bait, a specially established fund. The total cost of the synagogue amounted to more than 30,000 rubles. The Great synagogue of Tartu was consecrated in 1902. 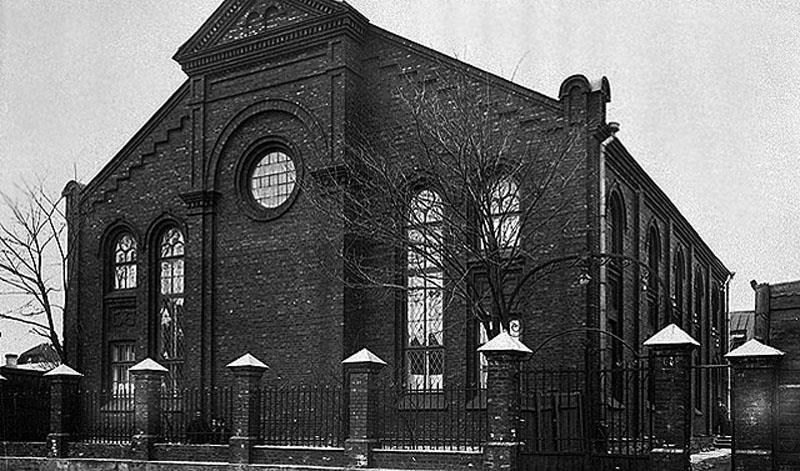 The Great Synagogue, also called the “Great Building”, was located at 57 Turu Street. It was the largest structure of the Jewish community of Tartu. Built of red bricks in the Romanesque style, the Great Synagogue had a long central nave and two lateral aisles used for the womens section. The eastern façade was divided into three parts: the central one was dominated by a round window contained by a semicircular arch sustained by square columns and topped by a tympanum. Each of the symmetrical lateral sections of the façade featured two high windows and buttresses at the corners. Inside the synagogue the Baroque style Holy Ark dominated the prayer hall. This one-storey gilded carved structure, made in Lithuania by Jewish craftsmen, was located at the eastern end of the prayer hall, immediately beneath the round window. 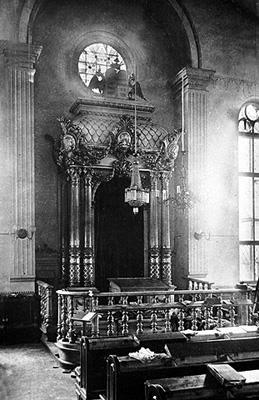 In the late 1930’s a large Menorah, donated by I. Blumberg, was installed inside the Great Synagogue. The Great Synagogue of Tartu served as the focal venue for numerous activities of the Jewish community of Tartu. During the first half of the 20th century it functioned as the main prayer house for the most of the Jews of Tartu. 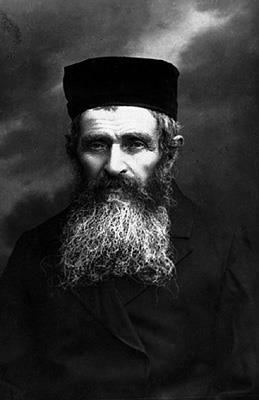 Hevrat Gemara, Eyin Yaakov, and Shulkhan Arukh were among several study groups who met regularly in the Great Synagogue. Various official ceremonies of the community also were held at the Great Synagogue; between the two World Wars the Jews of Tartu gathered annually at the Great Synagogue to mark the Estonian Independence Day. Estonia was incorporated into the Soviet Union in 1940; following the anti-religious policy introduced by the Communist regime all activities of the Jewish community were prohibited and only the Great Synagogue was left as a place for Jewish activities in Tartu. In July 1941, Tartu was captured by the German army. Shortly after the entry of the Germans, all local Jews were arrested by the Nazis and held in the Great Synagogue and a number of adjacent buildings. From the Great Synagogue, the Jews were taken to the outskirts of the city and murdered there. By the end of August 1941 there were no Jews left in Tartu. The Great Synagogue was later destroyed by the Nazis. The Jews who settled in Tartu after the Second World War, mostly refugees who returned from Siberia and other regions of the Soviet Union, were not permitted to establish a new synagogue. Only after Estonia regained its independence in 1990, were the local Jews able to organize openly and observe a Jewish way of life, although they have not, as yet, been able to establish a new synagogue.